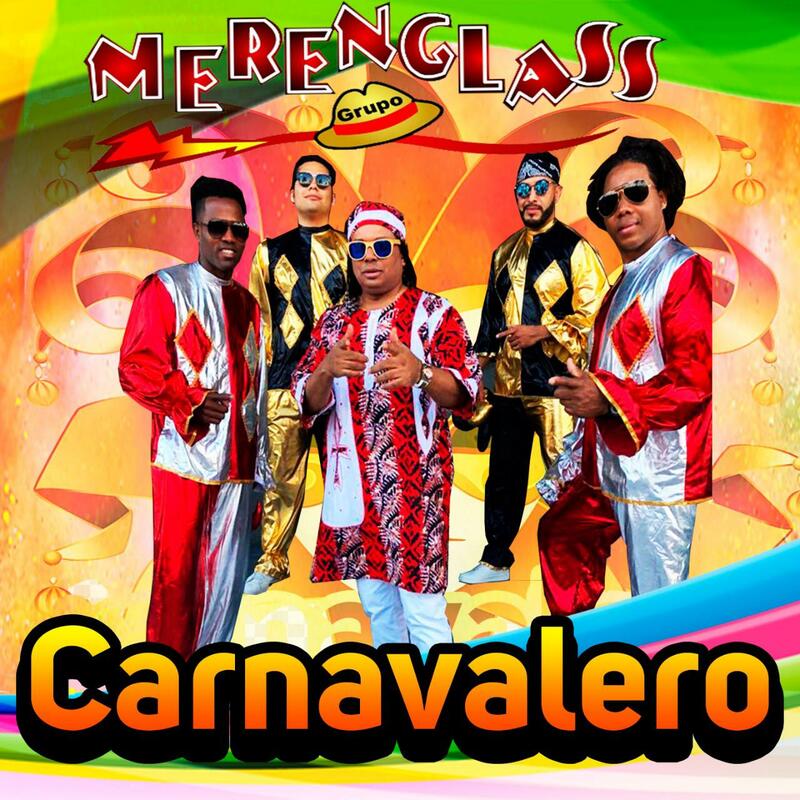 MERENGLASS represents the musical fusion the most authentic and real of merengue with Mexican sensivility and the Dominican flavor. The origin of the name of grouping responds to the entailment of the compound word meren... it comes of the merengue word con music and sugar glaze, it is a special part in the preparation of mexican sweet (candy) called merengue so as the utilization of last name of its founder. With a search determined to obtain the penetration of merengue in the mexican popular taste the restles Dominican music RAMON GLASS found the music institutional concept on march 4th 1994, giving beginning to a crossing arduos in the spectacle with discografic projects defined, televising performance presentations in T.V. presentations live so as great mentions periodistics in mecins diverse of comunications T.V. NOVELAS, FURIA MUSICAL, EL UNIVERSAL, LISTIN DIARIO, THE NEWS, EL SOL DE TODO EL PAIS, EXCELSIOR, EL HERALDO. The group has appeared in the foroum mains of the Mexican republic, in the MONUMENTAL PLAZA DE TOROS MEXICO, TEATRO METROPOLITAN, AUDITORIO NACIONAL, HARD ROCK LIVE, TEATRO BLANQUITA, PREMIER, SALON LA MARACA, GRAN FORUM, between others. Ther are added also massive performances in fairs dance halls, private celebrations and discotheques. It´s alternated to share scene with artists of stature CELIA CRUZ, OSCAR DE LEON, WILFRIDO VARGAS, RUBEN BLADES, LOS HERMANOS ROSARIO, LA SONORA SANTANERA, GRUPO CAÑAVERAL, BANDA EL RECODO, TUCANES DE TIJUANA, ANGELICA MARIA, ALEKS SINTEK, between anothers. The group´s participated in Mexico´s important festivals: FESTIVAL CERVANTINO, FESTIVAL DEL CARIBE EN CANCUN, AFROCARIBEÑO EN VERACRUZ, FESTIVAL ACAPULCO (ACAFEST). The presence in T.V. is ample quite, we mention some programs as: HOY, SABADAZO, EN FAMILIA CON CHABELO, SIEMPRE EN DOMINGO, BANDAMAX, THE NIGT LATE SHOW “ES DE NOCHE Y YA LLEGUE”, NETAS DIVINAS, ESTA CAÑON with JORDI ROSADO, BAILANDO POR UN SUEÑO, HOY MISMO, ZANBOMBAZO DOMINICAL, AL RITMO DE LA NOCHE, RITMO SON LATINO, HOY, AL FIN DE SEMANA, LA BOTANA, LA OREJA, VIDA T.V, CON TODO, NUESTRA CASA, T.V. DE NOCHE, SE VALE, BROZO, AL SABOR DEL CHEF, LA PARODIA, MUEVETE, LA BODA DE MIS SUEÑOS, NOCHE DE ESTRELLAS, so as spectacle programs and in the United States; EL GORDO Y LA FLACA, PRIMER IMPACTO, PADRISIMO, LA HORA LUNATICA, EN CALIENTE, QUE HONDA, JOHNNY CANALES´SHOW, and ORALE PRIMO DE JESUS SOLTERO in Dominican republic; CON DOMINGO Y EL PACHA, LA SUPER TARDE, SUPER REVISTA, WITH FAMOUS, ESCENARIO, EMILIO ANGELES, beetwen others. Ont he other hand we participed in the LET´S DANCE, film directed by ANGEL RODRIGUEZ VAZQUEZ with LALO "THE MIMO´S" performamce, ANGELICA INFANTE, LYN MAY, by all it MERENGLASS is recognized in the national and international limit like the creators of AZTECA MERENGUE. How it´s possible to be stated among this reality the discografic profile of group´s developed and it responds rightnow to eleven productions: first called GREEN INK or CARIBEEAN RHYTMS is title later; I MADE THE DANCE OF THE BLOW , with partipation of excellent great narrative sport "THE DOG" BERMUDEZ, here we give birth THE CUMBIARENGUE rythm rate mixture of cumbia with merengue, the third called disc MERENGLASS, MORE C H E V E R E and a q u a r t e r, WHERE ARE THE WOMEN? We approach ed to the mexican fusion of merengue. The fifth MERENGLASS productions... AT THE MEXICAN, were we consolidated the mexican project of merengue. The MERENGLASS gorup has achieved its sixth production "LOOKING YOU" disc and the seventh disc: MAMBORENGUE (to day like yesterday) based on age of great orchestras harmonized with merengue and the eighth discografic production disc called of PARTY WITH MERENGLASS, where you will hear and you will enjoy live the group profile. the ninth "WITH FLAVOR TO MEXICO" with a combination of rhythm differents, style than characterize to the group. 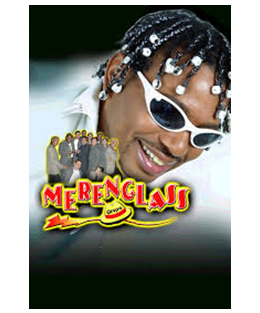 the teen production: MERENGUENSE, where fusion made with Merengue and Pasito Duranguense of Ramon Glass, well as CD: Merenglass in live and DVD IN CONCERT. and the de last production: DVD/CD 20 AÑOS EN VIVO concert in auditórium national of México city, where celebrated twenty aniversary of the group. The presence of MERENGLASS group in importants musical projects of national and international importance in places it between the great stars tribute by her 50 years of trajectory in the Mexican television of Mrs ANGELICA MARIA, musical participation in the novel FRIENDS AND RIVALS, musical presence in the prizes of T.V. NOVELAS, and FURIA MUSICAL, in the telethon of Mexican republic etc. The fusion with Mexican traditional music and the armonizing with Dominican merengue makes of MERENGLASS THE EMBASSADORS OF MERENGUE IN MEXICO.